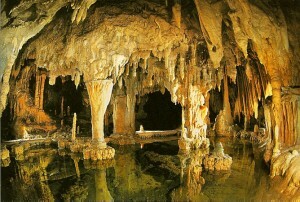 One of the most important caves in the world is located just 4km away from the centre of Ioannina. The existence of the cave was already known since the start of the last century, in 1940 it was used as a shelter by the people during the Italian bombardisms. In 1945 there was the first scientific mapping by the known couple of caveologists Anna and Ioannis Petrochilou who had explored other caves around Greece. It belongs to the horizontal caves with a length of about, 1km.The formings of stalagmites and stalactites, the natural richness and combination of colors create a landscape of amazing natural beauty. Transportation: City bus, route Ioannina-Perama with starting point next to the city-clock.